Stone for You provides custom design and installation of stone homes and businesses. We have expert craftsmen who design, cut, and install materials that last a lifetime in your kitchen, bathroom, and more. We will work with you to choose the right colors, materials, cuts, and finishes for your project. We are a fabricator and installer that specializes in Granite, Marble, Quartz, Porcelain, and Pyrolithic Stone. Our technology and attention to detail is what differentiates us. We utilize a 5 axle water jet that allows us to cut up to a 60 degree angle + 360 degrees while producing a superior product. 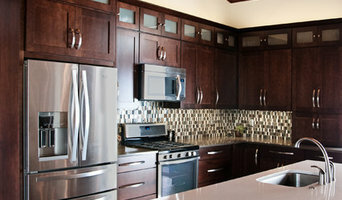 A&A Cabinets & Stone offers cabinets and granite for both residential, and commercial use. Quality craftsmanship and affordable prices. INSPIRING. TIMELESS, ENDURING. At Realstone Systems, we offer limitless design possibilities with the largest stone veneer product line in the industry. "Our Mission is to capture imaginations and transform spaces with inspiring, timeless, and enduring products, ideas and exceptional service." Fully Licensed and Insured, with over 18 years of experience in the stone industry, Q Stone Inc. has helped thousands of customers create their dream kitchens, bathrooms and more. We have earned a reputation for high quality craftsmanship and superior customer service. Whether you are building your dream home or just want to spruce up a room with some new stone countertops, we are the experts who can help you find the unique granite slab that's perfect for your needs and preferences. Our mission is to provide our customers with the highest quality product and workmanship at the MOST AFFORDABLE PRICES. We will personally assist customers with the selection of their granite slabs and then we will fabricate it to precise measurements to ensure a custom fit and a finished product of the highest quality. We will work extensively to fulfill our customer requests and expectations. For over 20 years, the artisans at Motawi Tileworks have hand-crafted art tile in their Ann Arbor, Michigan, studio. These distinctive tiles are known for their rich glazes and and uniquely American designs, inspired by nature, art and architecture. Unlike mass-produced tile, the unique design, beautiful craftsmanship, and affordability of Motawi tile allows people to own and enjoy real art, which won’t go out of style and will last for generations. Nawal Motawi, founder of Motawi Tileworks, was first exposed to the tile of the Arts & Crafts movement at Pewabic Pottery in Detroit, which she visited during her first college ceramics class. “My professor had just completed a gigantic tile mural created with Pewabic Pottery, which he took us all to see,” says Nawal, “and I immediately began to fantasize about someday making tilework like that!” In 1992 she set out on her own, starting what soon became Motawi Tileworks. Today, Motawi Tileworks employs a staff of nearly 40 and produces over 10,000 square feet of tile per year. Motawi installations are sold nationwide through our Ann Arbor studio, and designs are created via e-mail and phone communication. Individual Motawi Art Tiles are sold in Motawi's online store, inside its Ann Arbor gallery shop, and in over 320 shops and galleries across the country. We've been in business since 1986 and we understand the importance of staying informed with all the latest technology & continued education with the most modern techniques as outlined by the TILE COUNCIL OF NORTH AMERICA. We regularly attend numerous workshops and classes to further our knowledge in the industry, but of course the big benefit to our clients is the thousands of hours working in the field on every type of tile installation possible. WE ARE "LICENSED" EXPERTS IN ALL METHODS OF TILE INSTALLATION. We have been building water proof, mold proof showers and crack free rock solid floors using a variety of methods to best suit the job conditions including, wet mud, durock, hardibacker, kerdi, and ditra. 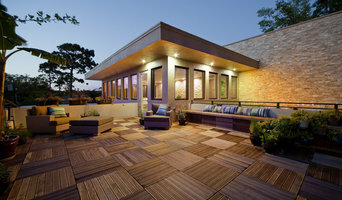 We are certified by Schluter for Kerdi and Ditra systems (for more info see <a rel="nofollow" target="_blank" href="http://www.schluter.com/">http://www.schluter.com/</a>) which is just one of our MANY TECHNIQUES used to achieve that life time worry free tile installation. We have done the tile installations in four of the six restrooms at the prestigious Troy Design Center as well as installations in the showrooms at Virginia Tile Co., Beaver Dist. and Ann sacks Tile. We also work all over town doing very intricate high-end installations through several different designers. Although we specialize in high-end remodel work (less seasoned installers are not experienced enough to do properly) we stay competitive in our pricing for all types of installations. Most importantly we have our long standing reputation as a fully licensed and insured company that stands behind every installation no matter how much time has passed. We have been in business over 25 years. We are happy to take on small jobs but are large enough to take on any size job weather it's residential, commercial, or new construction. Quality Tile, Inc. was originally established in 1986. The company, with three employees, set out to establish a company that was built on quality workmanship, competitive prices and customer service that was above all others. Quality Tile, Inc. prides itself on expert installation of Ceramic Tile, Marble and Granite in all areas including Baths, Kitchens, Fireplaces, Floors and Back splashes. In addition, Quality Tile, Inc. has installed Tile, Marble and Granite in many commercial venues including Restaurants, Shopping Malls, Stadiums and Hotels. Beaver Tile and Stone is a wholesale distributor of fine tiles including natural stone, porcelain, ceramic, glass, and metal. Since 1964 Beaver Tile and Stone’s focus has been to bring the highest quality products and service to contractors, dealers and homeowners while assisting Architects and Designers with projects large and small. As a member of the Olympia Tile Group we are pleased to represent the most creative and unique Tile suppliers and manufacturers within our industry in each of our 5 beautiful showrooms. Please come by! We look forward to working with you! Roman Granite is a fully licensed Granite Fabrication and Installation Shop. We have been serving the Greater Metro Area since 1994.The Better Business Bureau has accepted us as a member and in our many years of service we have received no complaints. Installation by our highly skilled crafters will provide the finished product you desire with the professionalism you demand. With one of the best trained labor forces in the area, you can be confident that every application is completed with meticulous attention to detail and your absolute satisfaction. Custom Granite Counter tops, Fireplace surrounds. Full stock of natural Granite, Marble, Onyx and Quartzite in an indoor warehouse. 3 Michigan Locations - Ann Arbor, Wixom and Grand Rapids. Established by Tony Pascucci in 1973. Thousands of Slabs in Stock. Our mission is to provide you with the very best. From Premium Material, Fabrication, Customer Service right through to Precision Installation. Discerning people want the best. That's what Pascucci Marble & Granite has been providing for our clients since 1973. Unmatched Craftsmanship combined with the best and most unique material God has to offer. With over 2000 slabs to choose from you are sure to find the perfect material for your project. Pascucci imports only first choice/premium blocks. We guarantee that you are purchasing the best slabs available-not second or commercial quality. Others cut corners to bring you a cheaper price....we offer the best because that's what drives us. That's what the generation before taught us and what we are teaching our next generation. The best...without compromise.This is what we do. This is what we love. Motor City Granite is the leading fabricator and installer of counter tops from a variety of materials including Granite, Marble and the largest selection of Engineered Quartz anywhere. Motor City Granite with over 30 years of industry experience guarantees top quality fabrication and installation. Our professionals will guide you every step of the way using our years of experience in understanding the characteristics of all natural and engineered stones. 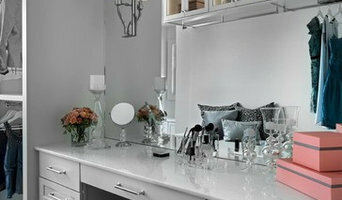 The counter tops we offer will bring the utmost in beauty and durability providing the best value available. With our complete offering we will provide design assistance, color selection, project management and expert fabrication and installation. 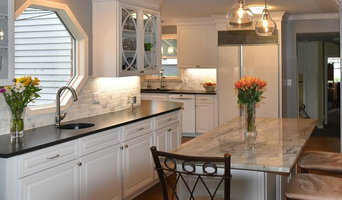 We offer many services including removal of existing counter tops, professional installation, plumbing re connection and stain protection warranty. If you are looking to add a durable elegance to your home or business, Sedona Stone & Tile has the knowledge and experience you are looking for. With more than 50 years of combined experience perfecting nature’s true beauty, our goal has always been to satisfy our customers and that’s what we do. We believe in earning your business and exceeding your expectations. We have a great selection to choose from at the best possible price. Our installation experts install granite countertops, engineered stones, and tile and do so flawlessly and on time. Our expertise ranges from vanities to bars and fireplaces, and much, much more. Licensed + insured + free estimates = Satisfaction Guaranteed. So what are you waiting for? Pick up that phone or send us an email and let Sedona Stone & Tile take care of the rest. 10 Color Options $1495 Cut Fabricated Installed Under-Mount Stainless Steel Sink 4 Edge Profiles to Choose From 15 year warranty sealer If the job is too large for just one slab of granite, the cost is NOT doubled. The cost for two slabs is just $2,595, all included. Don’t see the color you’re looking for? Stop by our office, we have 40 colors to choose from! Anthony has been in the stone industry since he was 16 years old. He has always enjoyed working with his hands and beautifying people's homes. He is a licensed builder and with this brings a wealth of knowledge that simplifies projects and helps homeowners catch design issues before they become a problem. He is skilled in every aspect of granite and tile installation and always helping the "do it yourself" customers to make sure everything is in place as it should be to avoid problems down the road. The opportunity to educate customers about stone is what excites him about working in this industry. From the quarry to your counter top, there's an amazing story in between, and with so many companies out there spreading false information about different types of stone, Anthony's main concern is that customers are making their stone selection based on facts and will be happy with their selection for years to come. With outstanding service and skilled craftsmanship, we have installed many custom pieces for builders and homeowners in the greater Metro-Detroit area. We have a reputation for quality work at affordable prices that brings us tremendous business through referrals from our past and satisfied customers. Ceramic Resource Wholesale, CRW Inc.
CRW Flooring Depot is Metro Detroit's or more specifically a Westland leading Full Service Flooring Home Center. We Wholesale, as well we Retail and cater to the public as a comprehensive source for tile, stone, and most of the flooring home products, proudly serving Michigan since 1995. CRW FLOORING DEPOT houses over 4,000,000 sq.ft. of porcelain and ceramic tile floors and wall, quarry tile, granite tile, granite countertops, marble, travertine, glass and stone mosaic, tile trim moldings. underlayment and much more. Over 40 installers are available at any given time for your instant installation needs, We also refer direct labor for our clients so you save the middle man's fee, as well we offer a job-site delivery to anywhere in the Michigan. CRW FLOORING DEPOT is a representative of the Major Flooring Manufacturing Industry Leaders such as Bostik, FinPan, Inc. Dal-Tile, Ragno, Shaw, Mohawk, and many more. CRW stocks waterproof membrane, niches, cement boards, and much more. CRW carries in stock a complete array of tile transitions (aluminum, rubber, PVC, and stainless) as Manufactured by Diaplas and Schleuter Systems. CRW networks with other large wholesale operations like Olympia Tile, Dal-Tile, Genesee, Virginia Tile, Tile Shop, and many others to bring you a full selection of flooring product as may exist in the Michigan territory, if we don't already stock it we well get it for you. CRW distributes the infloor heating systems, floor installations tools, accessories, and many more such related items. CRW has a network of more than 600 contractors, as well we boast a huge showroom facility at our Flagship location in Westland, Michigan, being one of the largest in Full Service Flooring Specialty Dealer in Michigan. We don't limit our business to the contractors, builders and retail stores, we also specify our products for custom and large scale projects. We would be happy to assist your selection of hard surface floor coverings. To get more info please contact us at our local Westland H-Office at 734 956-6847. CRW commercial division now offers VCT, Carpet, and other Flooring Products at Wholesale Factory to Jobsite prices. Eftersom företag arbetar med olika material och produkter samt ofta specificerar sig inom olika område så kan det vara smart att titta på vilka material företaget kan erbjuda. Däremot ska man aldrig tänja på själva utförandet. Vill man att ens bänkskiva i marmor eller granit ska hålla krävs en duktig hantverkare inom kakel, sten och bänkskiva i Oak Park. Investerar man i en ny köksbänk eller satsar på att sätta nytt kakel i hela badrummet så är det en fördel om arbetet är utfört korrekt. Vad det gäller köksbänkar är bänkskivor i sten och trä vanliga. En stenbänkskiva är snyggt i allt från svart granit till ljus marmorbänkskiva. Inreder man däremot ett klassiskt kök kan man satsa på en vit bänkskiva eller en i björk. Det är enkelt att rengöra en stenskiva precis som behandlat trä. Vill man ha en bänkskiva i sitt badrum kan man be en kakelsättare i Oak Park, MI kakla ytan så att den går med badrummet. Här är ett tips att köpa vacker mosaik för att bryta av vitt klinker. Oavsett om man väljer kakel till sitt kök eller badrum så finns det mycket att välja mellan. Väljer man plattor till något mindre, så som en bänkskiva, så är det snyggt att köpa kakel i en stark färg eller roligt mönster.